Spirit Airlines beginning on December 20, 2018 will begin nonstop daily service from Jacksonville International Airport (JAX) to Chicago O’Hare International Airport (ORD) and Detroit Metro Airport (DTW). Jacksonville will mark Spirit’s 69th destination in its growing network, and joins Spirit’s other Florida stations of Orlando, Fort Lauderdale/Hollywood, Fort Myers, Tampa and West Palm Beach. Top Copyright Photo (all others by Spirit): Spirit Airlines Airbus A320-232 WL N653NK (msn 8012) LAX (Michael B. Ing). Image: 943095. 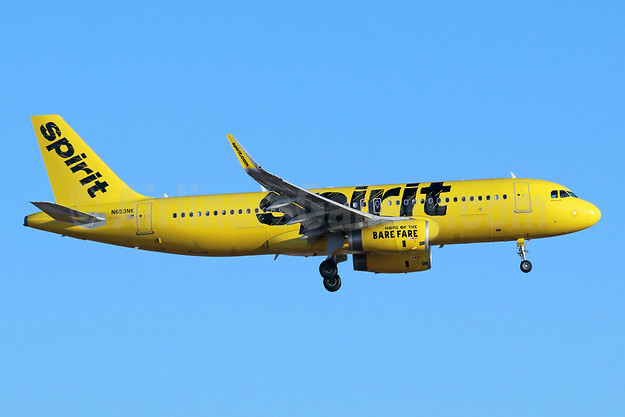 This entry was posted in Spirit Airlines and tagged Airbus A320-232 WL, msn 8012, N653NK, Spirit Airlines on September 19, 2018 by Bruce Drum.